OneEvent Technologies co-founders Kurt Wedig and Dan Parent were inspired by a TV segment about a hotel fire and how occupants needed to crawl through smoke-filled hallways to find an exit. Seeing how little the alarm system could do to prevent the fire, the pair began to develop a software model that could identify key precursors to a fire or flood event in a building, and OneEvent Technologies was born. 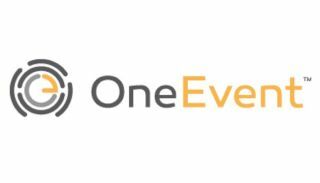 The OneEvent platform is comprised of a patented algorithm with a powerful cloud-based learning and analytics engine that can be licensed by other security and IoT companies in their own systems. Leveraging wireless sensors to measure factors such as temperature, air quality, motion, and moisture on a constant basis, the OneEvent intelligent engine learns what is normal for a building or home environment and uses abnormal readings to determine potential risks and deliver necessary alerts. OneEvent has developed its own preventative monitoring system called OnePrevent with the predictive analytics engine embedded inside a series of sensing devices to showcase the potential of the modern safety solution to protect buildings, assets, and occupants. The system is UL listed and can be installed easily by any home professional or security dealer. Whether it’s a rising temp in the kitchen from a stove left on or increasing moisture from a leaky pipe, the OneEvent backend engine processes each data point through its patented algorithm and alerts a building manager or homeowner via a smart app on a phone or tablet. The power of this predictive data solution can reduce loss, improve safety, save money, and make owning or managing a property easier. Real-world applications include small businesses, senior care, IT facilities, multi-dwelling unit properties and hotels, and homes. Founded in 2014, the Madison, WI startup has raised $4.3 million to date and holds eight U.S. patents on its unique software platform. The OneEvent team conducts testing with local fire departments and agencies using controlled burns to see how far in advance the OnePrevent system can predict trouble. In UL research testing, the system anticipated a fire up to 20 minutes before the smoke alarms went off. In the future, the OneEvent founders have plans for this solution to provide critical, life-saving measures when used by communities in cooperation with first responders. As the technology continues to develop, future systems will give fire responders, EMS, and police the ability to see occupancy, heat, temperature and other dangerous factors, leading to safer, more effective response for those in the position of rescuing occupants. Beyond the predictive capabilities, the sensor technology can allow responders to track the conditions of a fire, and it provides data for investigators and insurance companies to understand how it started during the claims process. As a predictive-alert system, OnePrevent is neither a fire alarm nor a burglar alarm, but rather supplementary protection that empowers users with data and anticipated warnings via a cloud-based platform and app. The OneEvent patented technology aims to change the way building managers, first responders, cities, the hospitality industry, healthcare facilities, property and casualty insurance carriers, and homeowners think about home safety and security.